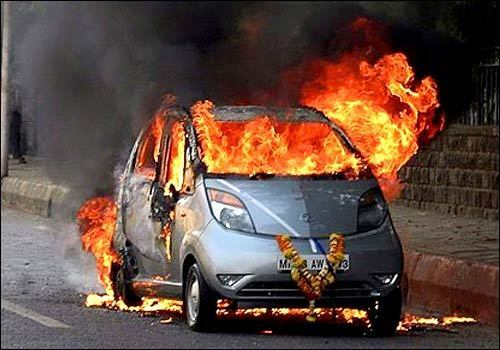 In late 2008, Tata–one of India’s largest and most successful companies–unveiled what they hoped would be a revolutionary product: the Tata Nano. What was revolutionary about this vehicle was not so much the product itself, but its price tag of a mere Rs100,000, or US$1842. The compact car was marketed to middle class families as a cheap second vehicle. While the hype about this incredibly cheap car allowed the Nano to initially enjoy healthy sales, since then, sales have almost completely fallen off, forcing Tata to reformulate its marketing scheme completely and rethink the future of the line. What can be drawn from the failure of the Nano is that even in developing nations, where consumers are acutely sensitive to price, it isn’t everything. Though Indian consumers are always on the lookout for a good deal, they are not willing to sacrifice product quality. In addition to many accounts of the Nano catching on fire, its cramped interior and lack of trunk space did not woo consumers away from the more expensive, but better quality and larger sedans produced by Suzuki and Hyundai. As the drop in sales has shown, a cheap, cramped car of questionable durability is not what Indian families want. What does this have to do with education technology for low-income schools in India? In interviews that we conducted with affordable private school parents from our pilot study, we found a similar trend regarding price and durability of educational tablets. Most of the parents that purchased a tablet, considered it a long-term investment in their child’s future. The tablet was considered a product that would last through their child’s entire studies, and perhaps even their younger childrens’ studies, and pay for itself by saving the family from purchasing expensive textbooks every year. Just like in the Indian automobile market, low-income ed-tech consumers are looking for products that have low-prices and that will stand the test of time. On the whole, this balance between price and durability represents one of the most important design challenges for anyone seeking to create ed-tech products in India. To succeed in this endeavor, several key aspects of the product must be considered. Every technology consumer is familiar with the degradation of battery life. With continued use, a battery that once held 6 hours of charge eventually requires being plugged in at all times. For most technology consumers in the developed world, this means that it is either time to buy an expensive replacement battery or upgrade one’s device. For low-income Indian consumers, however, this is not a viable option. In a household where every rupee counts, they expect the battery to either be long-lasting or cheaply replaceable. In addition, regular power outages mean that products with low-battery life will not be able to charge at all times of the day. As tablets for the APS market will be used primarily by children, it is almost inevitable that they will see some abuse. Unintentional dropping, water exposure, and all of the other possible methods of damage will likely occur. This is a common concern among school owners encouraging tablet purchases. The design of ed-tech products should withstand such elements while still keeping the product price low. Products should also be designed with the ability to be fixed by local repairmen or through at-home troubleshooting. Virus protection is one of the biggest challenges for any piece of technology. In the APS market, consumers are either unaware of the necessity to purchase and update anti-virus software, or are unable to do so due to cost or lack of Internet access. For this reason, an anti-virus software that requires minimal consumer cost and effort will be required on any device with access to a USB drive or Internet. The above challenges, where price must be balanced with quality, are no doubt daunting. However, the cost of failing to meet them could have long-term impact on the receptivity of the APS market to new ed-tech products. On the one hand, durable but expensive products will deter the initial uptake of ed-tech in low-income schools. Ed-tech will continue to be a novelty except among the most expensive Indian private schools. On the other, cheaper, less durable products will probably affect consumers’ long-term confidence not only in a specific brand, but also in the idea of ed-tech and its effectiveness in terms of cost. Such products will run the risk of sharing the Nano’s fate.